The NHS Care.data project had been abandoned. What next for the security of patients’ healthcare data? For three years the NHS information sharing scheme has been mired in controversy. 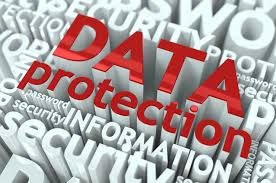 Now, after the publication of the Data Guardian’s report ‘Review of Data Security, Consent and Opt-outs’ there are new standards for data security and NHS England has announced that the care.data project has been abandoned. Now is the time to respond to the consultation (before September 7th 2016) about the rights of patients over the use of their personal healthcare data and their right to ‘opt-out’ of sharing personal data. By participating in the consultation, you can determine the wording of ‘consent’ and ‘opt-out’ to ensure that your personal data is only used by those permitted by you. You can specify who has the use of your data: healthcare providers, researchers or commercial enterprise (insurance companies, Google etc). Following the revelation that hospital Trusts have been sharing over 1.6 million patients’ data with DeepMind (owned by Google), it is essential that there is transparency about the terms ‘informed consent’ and ‘implied consent’. Please see our ‘Alerts’ page for details about what is at stake and our ‘Have your say’ page to participate in the consultation. This entry was posted in Consultations, Health, Safety and tagged care.data, consent, Data Guardian, data security, DeepMind, implied consent, informed consent on July 13, 2016 by admin.